Late President Muhammadu Buhari's widow, Aisha, has finally showcased herself before the international community, as the most wicked woman of the decade in human history. She shamelessly accepted partnering with the Sudanese impostor in Aso Rock, by throwing her feminine integrity to the winds. This is a widow whose late husband was secretly buried in far away Saudi Arabia and on her return to Nigeria, blatantly lied to the world during her interview with newsmen on arrival at the airport, that she went to Saudi Arabia to perform lesser hajj. What a shame! She caved in nonetheless to antics/threats, concealing the death of her own husband, just to please the Fulani political cabals that are managing the presidency. She denied herself of deserving condolences as a first lady from both within and without. Aisha Buhari returned to Nigeria from her husband's burial in a foreign land, secretly mourning her husband under terms of criminal agreement with the Fulani cabals whose interest is to tighten their grip on power. The height of evil perpetrated by this woman however, is her present choice of promiscuous lifestyle callously adopted after almost two good years of losing late President Muhammadu Buhari, her husband, to death. This act of infidelity became more glaring as she started moving around with Jubril Aminu Al-Sudani, the contracted Sudanese impostor. 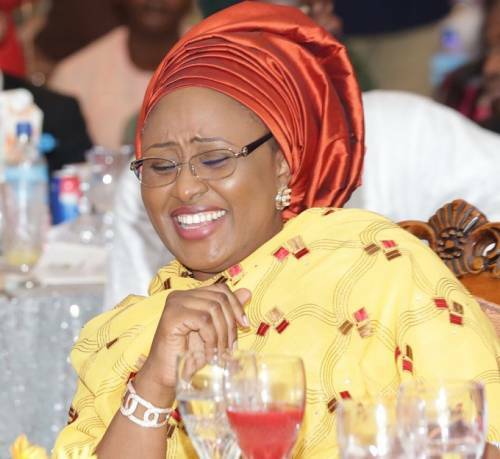 The question then is: for how long will Aisha Buhari ridicule her late husband before repentance? If she could accept to be going about with her late husband's double as a cover up against the avowed unmasking of her "new found strange lover" by the Indigenous People of Biafra (IPOB), it then becomes indisputably correct to state that this man has been sexually feeding on her. The worst aspect of the entire episode, is that these conscienceless conspirators have lost all respect for decency according to the teaching of Islam. This act of unholy affinity is evil, unacceptable and demeaning. Aisha Buhari has boxed herself into a moral tight corner as this Sudanese infiltrator is claiming her as his wife who is sexually giving him satisfaction at every secret invitation. It is on record though that Aisha had avoided having anything to do with Jubril since January 2017 until she eventually caved in to pressure. The irrefutable revelations recently churned out before the world by Mazi Nnamdi Kanu, the IPOB global leader, have really rattled the cabals' camp. 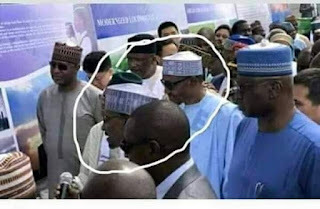 Evidently clear and that prior to the death of President Muhammadu Buhari, he had emphatically maintained that "Aisha, his wife, belong to the bedroom and not outdoor activities. 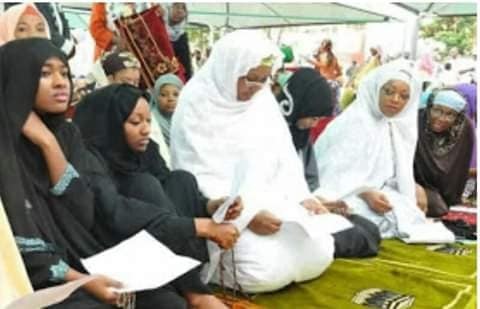 How come then that the cabalistic managers of Jubril Aminu Al-Sudani, have suddenly and totally forgotten that the woman belongs only to the other room? She is recklessly parading herself around under the pretentious claim of having the Sudanese as her husband. The only available option left for her is to openly confess that her husband is dead and has already been buried. This will totally extricate her from the disgusting and damning shame/consequences her deceptive and egocentric actions have caused. Her promiscuous romance with this Sudanese impostor is to say the least, most callous and detestable, more especially, as it is coming from a once revered first lady of Nigeria.